Sixty percent of senior falls take place in the home — it’s a constant and serious threat to seniors trying to live safely as they age in place in the comfort and familiarity of their own homes. According to the Centers for Disease Control and Prevention, one in four Americans age 65 and over suffers a fall every year. Unfortunately, just one fall can make the difference between living safely and happily at home and moving to an assisted living facility — and just one fall can be fatal. Thankfully, there are plenty of renovations and modifications that can help keep you from falling, as well as lifestyle changes that can make seniors less vulnerable. It’s not uncommon for older adults to experience a gradual diminishing of their vision, hearing, and reflexes. Consult your healthcare provider if you’re experiencing one of these health issues, or if you suffer from diabetes, heart disease, arthritis, or some other problem that could threaten your safety at home. It could be a simple matter of having prescription medication adjusted or changed, consulting an ophthalmologist, or working with a physical therapist. Many of the home renovations that can keep you safe at home can be done by you or with the help of a friend or family member. In the bathroom, where most falls occur, installing grab rails is a necessity for staying safe. Anchor rails securely in the wall next to the toilet and in the shower/bathtub, and place a non-slip surface in front of the sink and toilet. 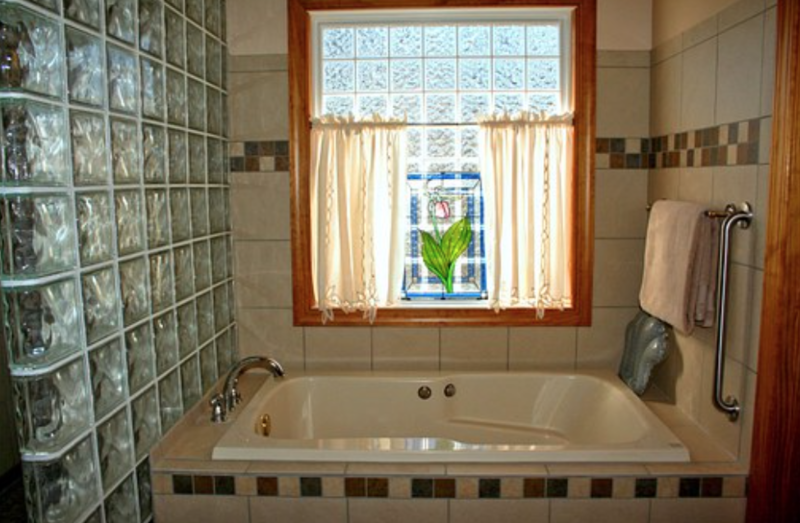 Install a shower seat or put in a walk-in bathtub for safe and convenient access. The kitchen is another area that can be made safer with some basic remodeling, such as lowering counter height to 30 inches for enhanced accessibility. There are plenty of ways to injure yourself in the kitchen, so make sure there’s plenty of ambient, non-glare lighting in the kitchen. Install nightlights or motion-activated lighting in the bathroom, kitchen, and hallways. If you’re experiencing decreased eyesight, sudden changes in light intensity can make it harder for your eyes to adjust, which can ultimately lead to falls. So, maintain consistent lighting throughout the home, particularly in the halls and staircases. Consider removing carpeting and replacing it with smoother surfaces that are less conducive to tripping. If you have wooden stairs, have a non-slip tread placed on each step. Exercise is an important part of your health routine at any age. For seniors, exercises that help strengthen the lower body can go a long way toward preventing falls in the home while keeping you active and feeling positive. Knee extensions, for example, can improve leg strength and flexibility. From a sitting position, simply extend one leg, hold it for a few seconds, then do the same with the other leg. Try following that up with some squats. Place your hands on a chair back and do a series of standing partial squats, which will improve hip strength and flexibility. Do these exercises, and perhaps some bicep curls and tricep exercises, and you’ll improve your strength and make it considerably easier to stay physically active. This might not require any remodeling and renovating, but wearing safe shoes is equally as important. Shoe choice comes down to common sense: Avoid high heels and floppy slippers and sandals and go with shoes that are comfortable and sturdy. Hard-soled slip-resistant soles and heels an inch or less in height are safest. Avoid wearing socks or going barefoot, which can leave you more susceptible to slipping. Shoes that fasten with velcro straps are easier to slip on and off. Much of the remodeling that can keep seniors safe in their homes can be done on a DIY basis. If you find yourself needing to widen doorways or hallways, you’ll probably need the services of a professional renovation contractor. It’s more expensive, but these modifications are well worth the investment as long as it translates into a safer, more accessible home.